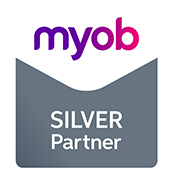 We’ve got a great offer from MYOB that we highly recommend for you. With tax time just around the corner, we think now is the perfect time to move your accounting file online to start the new financial year with efficient new processes and the latest tax updates. If you choose to move your desktop AccountRight file online before June 30, you’ll receive 50% off for a 12 month subscription.